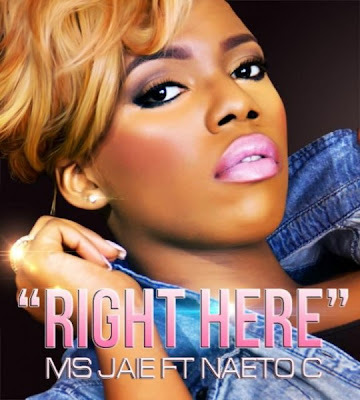 Ms. Jaie who is currently signed to Storm Records alongside LOS, Naeto C etc, teamed up with her labelmate - Naeto C for her new track 'Right Here'. The young singer who calls herself a 'dimedoll' used to reside in London, until she moved to Lagos, Nigeria to pursue her music career. Ms. Jaie recently performed on the same stage as Chris Brown at the Eko Hotel in Nigeria over the weekend, as part of the Chris Brown 'Carpe Diem' tour. The singer has been making some serious movements in Nigeria as she's making her name known in the Nigerian music industry and even internationally, as her single 'Kilon Poppin' went worldwide within a matter of months. With other singles under her belt such as 'Korrect Guy' and 'The One', Ms. Jaie is set to make 2013 a major big year for her, doing bigger and better things especially with her unique voice.